Looking to get your home more accessible and easier to transport those unable to do so independently? 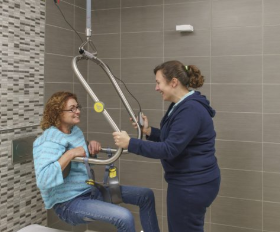 Good news as Ability Tools will hold a demonstration of Lift and Transfer techniques and tools on Thurs., Feb. 7th at an Open House hosted by Lift and Transfer Specialists in Brentwood. The event starts at 10 a.m. and will be held at the Brentwood Community Center at City Hall, 35 Oak St., Brentwood. To attend this event, register HERE. Older PostSan Carlos Library to host Feb. 4th program on "Disability and Sexuality"